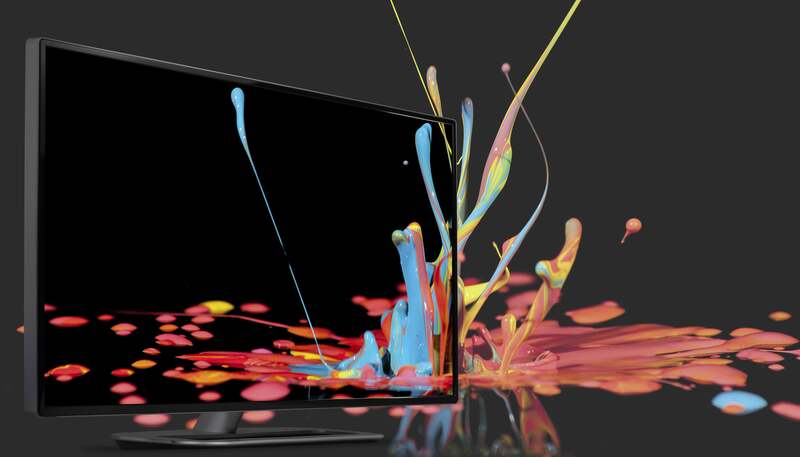 If you’re looking for entry into the wonderful world of HDR (High Dynamic Range), you’re not going to find a cheaper ticket than the Vizio P-Series displays. 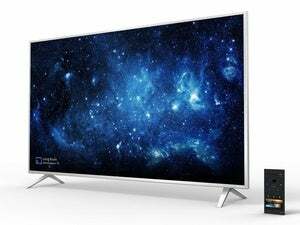 Prices start at only $1000 for the 60Hz, 50-inch model, and they’re definitely worth a look-see: Dolby Vision HDR viewed on the $2000 (available at Best Buy), 65-inch class P65-C1 reviewed here is a vastly superior experience compared to the average LED/LCD TV with standard dynamic range (SDR); i.e., everything else out there. Vizio’s P-Series display with its six-inch Android tablet that serves as the remote and the smarts. 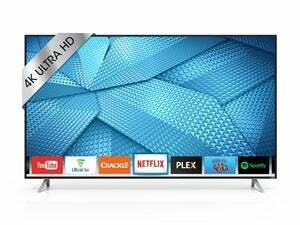 But before you rush out to buy, know that Dolby Vision is so far implemented only with online streaming services such as Netflix and Vudu, and the P-Series don’t yet support the HDR 10 used by Ultra HD Blu-ray. HDR 10 support via a firmware upgrade is promised, but hadn’t arrived at the time of this review. 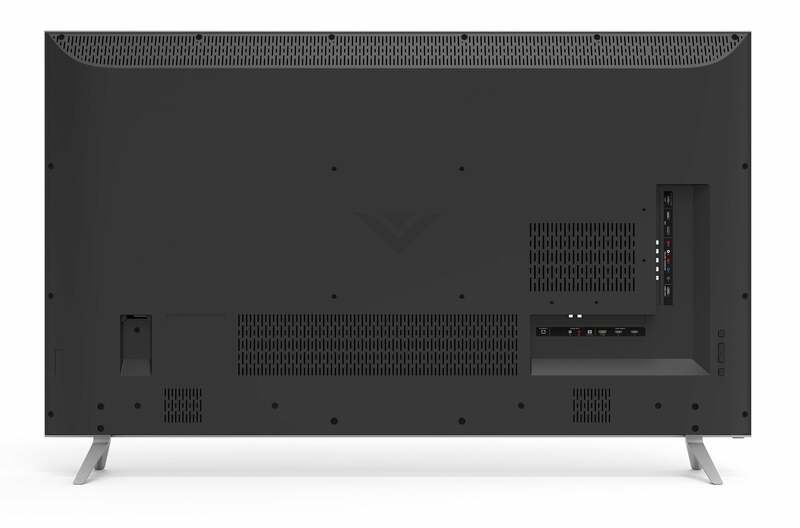 Also, because Vizio is positioning the P-Series as part of its SmartCast Internet of Things/smart-home entertainment ecosystem (which is based on Google Cast), the company made some—shall we say—interesting design decisions. 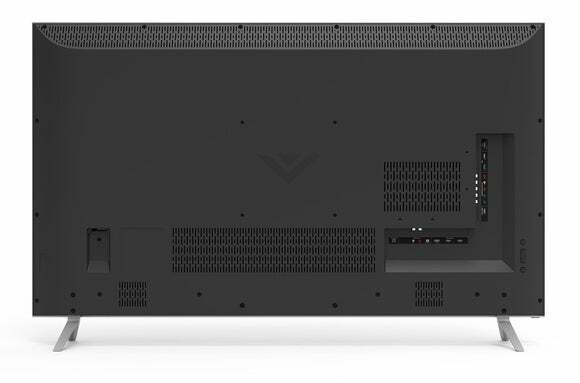 Vizio's most interesting decision was to make the P-Series entertainment displays, not smart TVs. There’s no over-the-air tuner, only limited media playback from USB mass storage, there are no apps on board, and there's no on-screen user interface beyond basics such as volume, input switching, and aspect ratio. The six-inch Android tablet used to control and configure the P-Series displays, as well as provide smart functionality, sitting in its conductive charging stand. Instead, Vizio relies on a 6.0-inch Android tablet to adjust advanced picture settings, and the aforementioned Vizio SmartCast provides “smart TV” features. “Smart” meaning streaming, browsing, playing games, and anything else you can do with a smart TV or tablet. As long as the app supports Google Cast, you can mirror it on the display. Note that you can also download and install the SmartCast app on your existing Android or iOS device and ditch or re-task the included tablet. The P-Series have their own ethernet and 802.11ac adapters for direct streaming. What’s being displayed is only chosen and controlled via the smart device. The display and the device must be on the same network, as with all Google Cast setups. 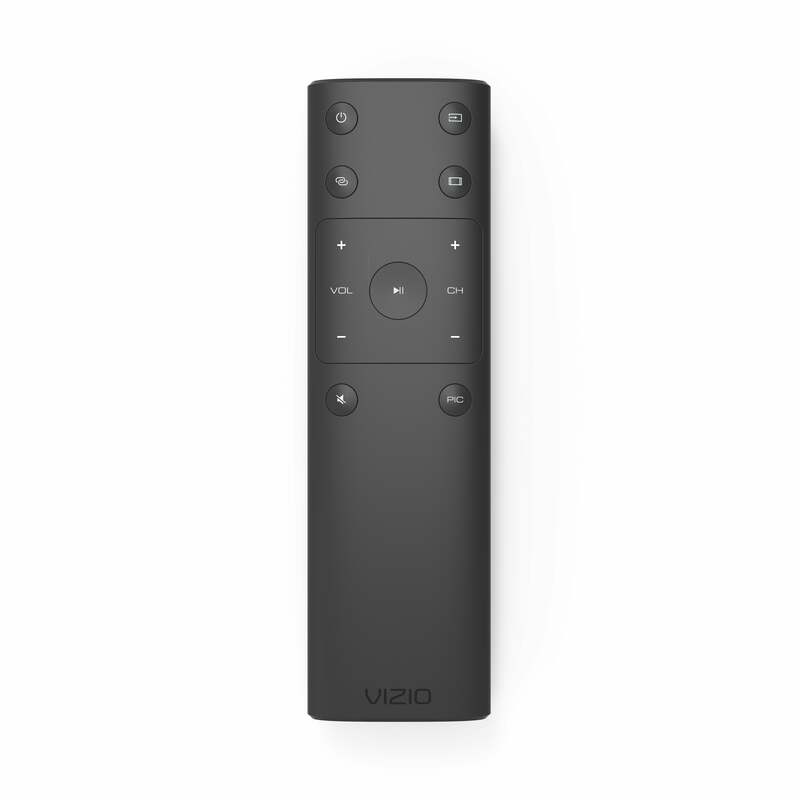 Vizio also includes a pleasantly simple standard remote. Simple was to be expected given the minimal on-board features, but it could, or should have been even simpler; the included channel-change buttons have no function on the tuner-less P-Series. The P65-C1 weighs approximately 62 pounds and its chassis is 2.5-inches deep at its thickest. You'll need at least 12 inches of depth if you intend to set the display on a horizontal surface (versus ditching the stand to hang it on the wall). 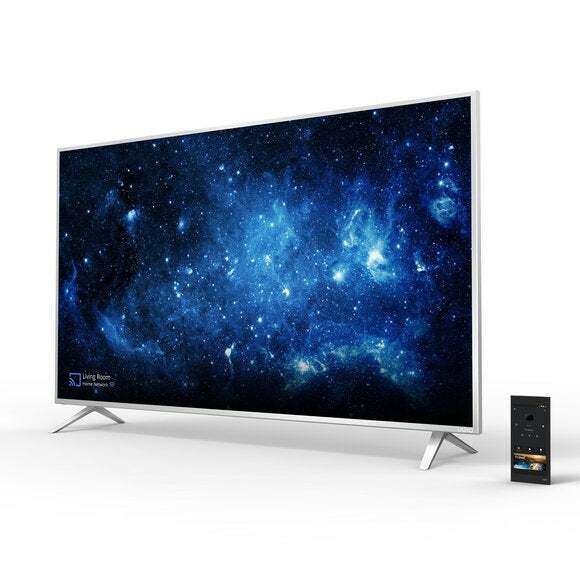 The screen itself is 3840 x 2160 pixels (4K UHD/2160p) and measures 64.53 inches diagonally (65-inch class). The back of the Vizio P-Series display. Note the lack of a co-ax connector. The Y component connector accepts composite video. Our model featured five HDMI ports: Four of these are HDMI 2.0 with HDCP 2.2 support and one is HDMI 1.4. An upgrade to HDMI 2.0a is promised on the website, which will probably be part of the HDR 10 compatibility roll-out since it's a requirement. ARC (audio return channel) is supported for outputting audio to receivers and sound bars. Also included are two USB ports, one 3.0 and one 2.0, though there’s not much that can done with them. You can play files from USB media, but it’s all automatic upon insertion with no pause, play, or skip controls. Component and analog audio inputs are present, as well as analog and digital (optical) audio outputs. Composite video signals are accepted by the green component (Y) connector, though the docs don’t hint at this. The P65-C1 produces more accurate color than your average LED/LCD display. 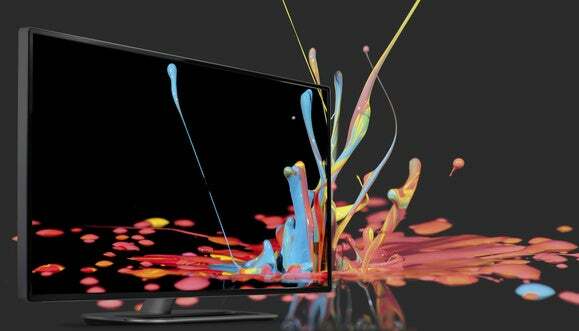 Vizio uses a different red/green dye on top of tuned blue LEDs to great effect, though I’d still rate accuracy lower than OLEDs; the Sony D-series which use a similar system; and especially Samsung’s SUHD TVs with their sheet of quantum dots. Note that all those TVs are considerably more expensive than the P-Series displays. Dolby’s rendering of Dolby Vision’s effect on a TV image. HDR can mean either more life-like or more fantastic images, depending on the material and the artistic intent. Between the P65-C1’s wider color gamut and HDR, watching the Dolby Vision trailers, as well as streaming Pacific Rim and Mad Max: Fury Road, was an exceptional visual experience. I’m used to good color, having never forsaken my old CCFL-backlit displays, but the contrast and impact of HDR on bright screen elements such as cannon fire, flames, colored lights, reflections, and the like is fantastic. As far as standard dynamic range material, that looked quite nice as well. But after looking HDR video, SDR color looked washed out. HDR is addictive, and the P-Series does it well. With no HDR 10 available, the Ultra HD Blu-ray titles I tried looked good, but no better than on most 2160p displays. Neither is there any HDR up-sampling available for SDR, so we were kind of out of luck on that front. Other than the slothful roll-out of HDR 10 support, my only real quibble with the P65-C1 was that motion scenes weren’t particularly smooth, even with judder reduction at maximum. This despite a 120Hz refresh rate and all the industry tricks on board. I’m hoping this was a firmware issue, as I’ve witnessed smoother motion from less-expensive Vizio displays. 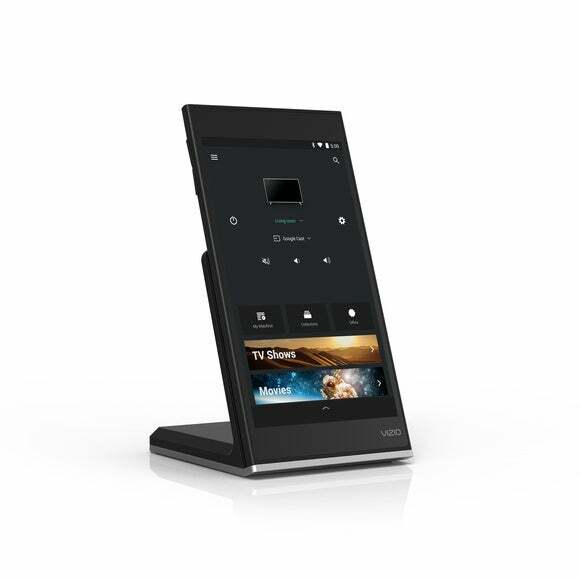 I can see the logic and the appeal behind Vizio’s offloading smart and configuration features, and can envision it meshing perfectly with the lifestyles of phone- and tablet-centric folk. As you can use your own phone or tablet, it can also help you keep your remote collection in check. But while I appreciate Vizio looking to the future with Google Cast and tablet control, I’m not 100-percent sure I like it. Alternating your gaze between displays seems a bit active and distracting for what’s essentially a passive, focused experience. The noticeable lag between adjusting a setting on the tablet and it taking effect on the TV didn’t help the experience. Also, super-fine adjustment was nearly impossible with the current app due to the lack of granularity in the sliders. The standard P-Series remote has very limited functionality. The channel-change buttons, for instance, do nothing because the P-Series don't have tuners. But I’m a bit set in my ways. In the end, it’s a matter of taste and habit. I’m just here to tell you that the Vizio P-Series control and streaming experience is a bit different from the norm, and you should take that into account. There can be few complaints about the P65-C1’s picture. It’s around the mean with standard material, but with Dolby Vision HDR? That looks good, and I mean Good with a capital G. The few bugs and omissions I’ve mentioned should be addressed shortly. Obviously, if you want a tuner, or a traditional remote and on-screen interface, skip the P-Series. On the other hand, if you like the idea of a tablet-centric, cable, and internet-delivery approach, then hop on for the ride. But you might want to just trot alongside until the promised HDR 10 update is delivered. Especially as there’s not a ton of HDR content available yet. 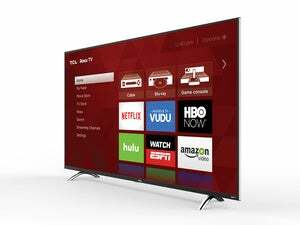 The P-Series by Vizio are displays, not TVs. They lack tuners, but they deliver excellent Dolby Vision HDR playback for less than the HDR 10-only competition. The smart features are sequestered on the included 6-inch Android tablet (or your smartphone).